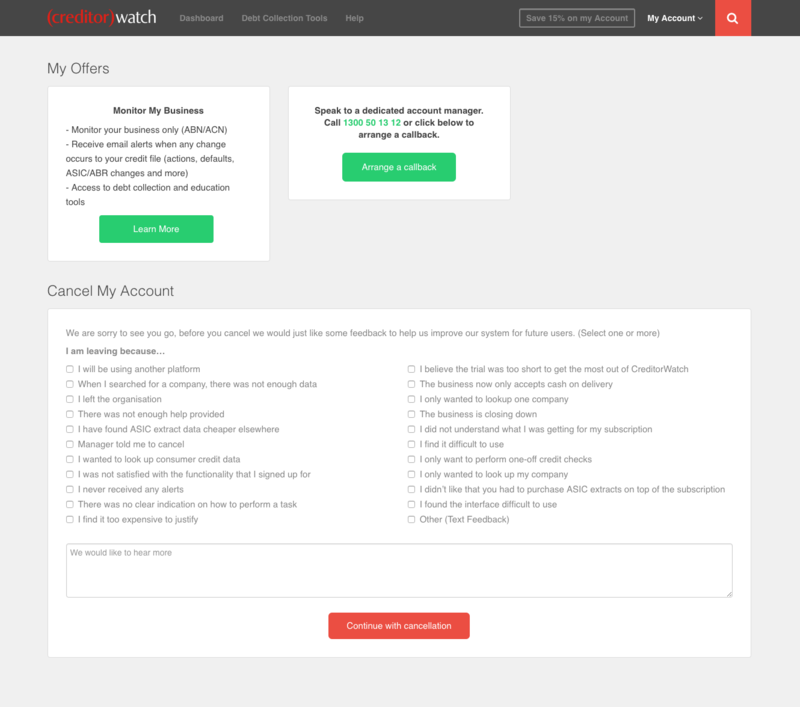 Learn about how to cancel or suspend your CreditorWatch account. 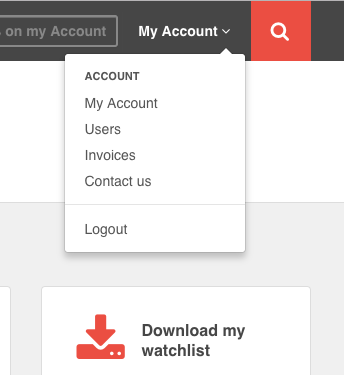 click the 'cancel my account button in the account navigation section. To cancel your account please provide a reason of why you wish to cancel your account, we are always sad to see our users leave, however we are working hard to ensure how we can improve in the future. Once a reason has been provided, click the 'continue with cancellation' button to confirm the account closure.